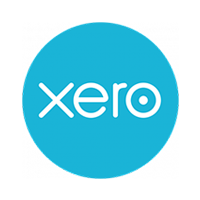 Sage Business Cloud Accounting is part of the Sage One suite and is designed for small business owners and independent accounting professionals. Its features include invoicing, banking, cash flow management, and more. In this article, we cover user reviews and pricing. Ready to try Sage Business Cloud Accounting? Get a free trial. Sage Business Cloud Accounting offers two plans: Accounting Start ($10/month) and Accounting ($25/month). The main difference between the plans is the availability of advanced features, such as cashflow forecast, inventory, multi-user function, and more. Ready to try Sage Business Cloud Accounting? Get a free trial. Users who gave Sage Business Cloud Accounting a positive review commended its highly responsive and friendly customer support team. Others also like that it offers all the basic accounting tools necessary to run a small business. Users who gave Sage Business Cloud Accounting a negative review said that its mobile version has limited features. Others noted that its design is outdated compared to similar software. 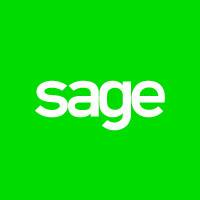 What is included in Sage Business Cloud Accounting’s free trial? Sage Business Cloud Accounting’s 30-day free trial includes all the features of your preferred plan. Is Sage Business Cloud Accounting available on mobile devices? Yes. Sage Business Cloud Accounting is available for download on Android and iOS devices. Not sure if Sage Business Cloud Accounting is the right fit for you? 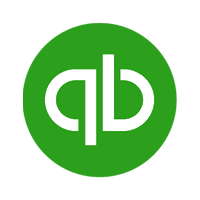 Read our reviews of all top accounting software providers or check out one of these three Sage Business Cloud Accounting competitors. As well as keeping the software as simple or as complex as you need it to be, Sage has really great customer support at the end of a telephone. Every single time I ring, it’s answered quickly and my issue is resolved without any fuss and I’m never felt to feel like an idiot for asking the simplest of questions. The other really fantastic thing is the ability to link the accounts to your actual bank accounts and this makes reconciling and keeping on top of your business on a day-to-day basis really easy and I couldn’t image doing accounts without now. The only gripe I have is not being able to easily export your data but that being said when I spoke to them they did show me a way to export my ledger as a CSV file so I could keep a backup and would allow me to transfer to another system if needed. They aren’t the only accounting company to do this but the lack of making it really easy stops me from giving it full marks. Nothing really, as I had a trial so I could play with the software and make sure it was going to do what I needed. In the 4 or 5 years I’ve been using SAGE I’ve been very impressed with the level of telephone support I’ve received. I thought it would be easier to use.